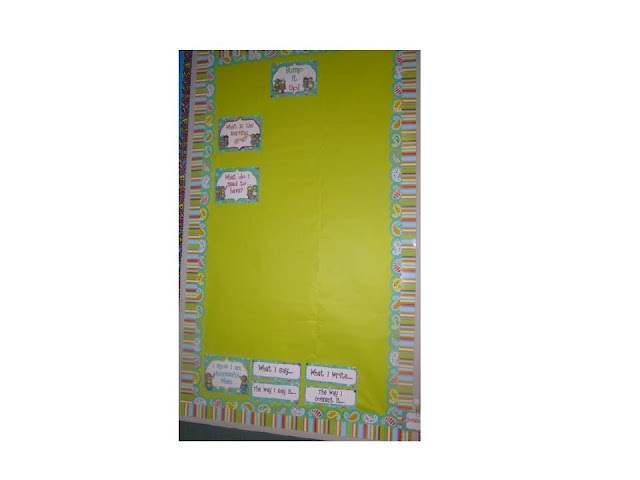 Since I start back after many other teachers in blogland it seemed too late to be doing a big classroom reveal post so today I am going to highlight a few things I (well my daughter and I) made for my classroom. This nice little curtain. My daughter (she is 12) did the sewing and put it up with an expandable curtain rod. It covers up this not so nice little storage mess. 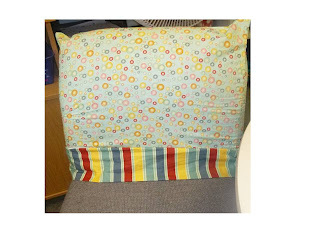 I am so happy with the fabric find - it matches my Dots & Turquoise Bump it Up bulletin board that is right next to it. Teacher of the Day chair cover. My daughter (same one - no, this is not how she spent her summer - but she seriously loves sewing and crafting) used a pillow case pattern and just made it a little bit wider to fit the chair. Each day a different student is Teacher of the Day. They do any and all class jobs that come up that day - attendance, pass out supplies etc. 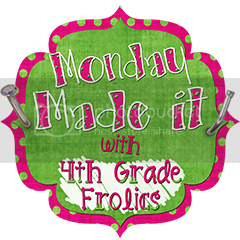 I totally stole this idea from Joanne at Head Over Heels for Teaching last year. This year I added 2 little things - the chair cover to the comfy TotD chair and this system for picking the TotD. I made this little sign and printed it on magnetic sheets. 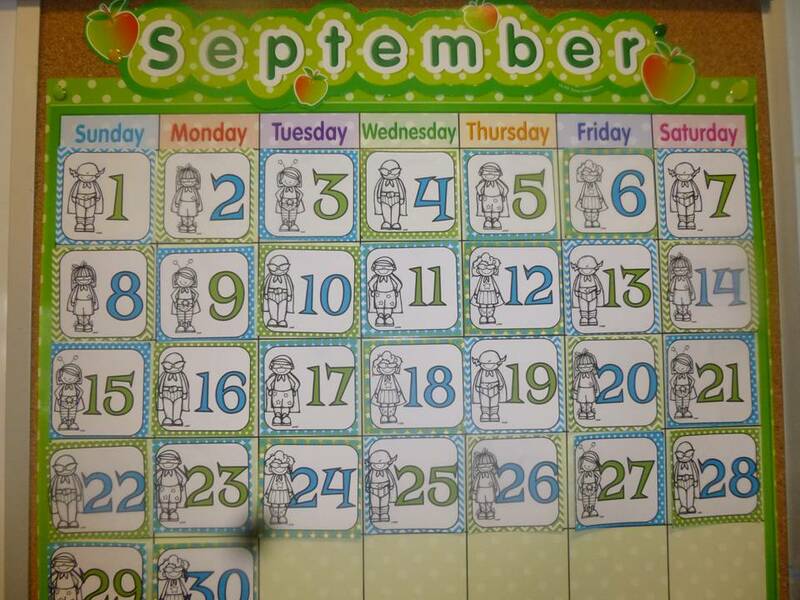 I used the numbers from Tara's Homework Club and printed those on magnetic sheets too. The first day I selected a number out of the basket that is on the ledge, now at the end of the day the TotD picks a new number out. The students are very excited by this new end of the day ritual and the TotD makes a big production of not looking at the numbers and revealing the next person to get the comfy chair! I made calendar cards, desk nameplates and labels for student books. 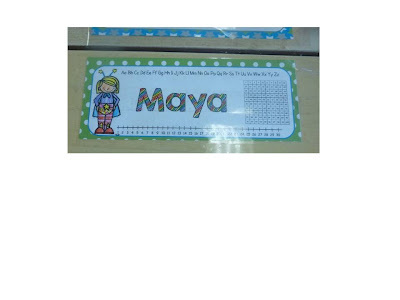 I made the desk nameplates with the line art superhero clip art so that the students could color in their superhero to match their looks and tastes. 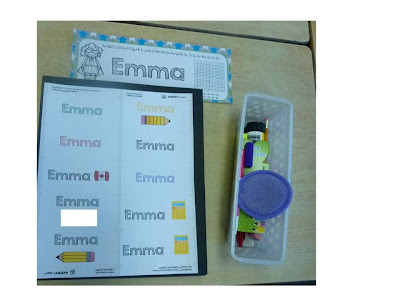 I always make labels for notebooks and duotangs but this is the first year I made a sheet for each student (instead of going by subjects) and they are labelling their books as we go - saved myself and hour of labelling right there). 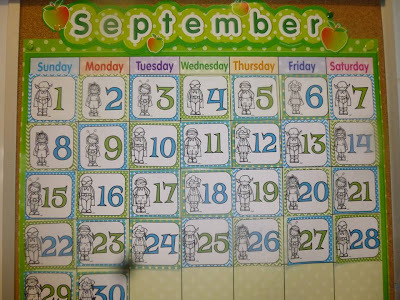 The calendar cards match their name plates. I included a sample finished and taped name plate. Well that is it, a little taste of my classroom! Your daughter is very talented! That is great that she loves sewing so much. That is such a useful skill! Glad she gets to contribute to your classroom. I am sure she loves that. Your room looks great! I, too, have one student each day take care of pretty much all of the classroom "jobs". However, I LOVE your idea of calling them the Teacher of the Day! I'm so going to start doing that. I know my second graders will LOVE it! Thanks for sharing! Very cute! Isn't it nice to have someone in the family who sews? My mom is great about doing all that stuff for me. Wish I had learned when I was younger! Girl!!! I love this! Your stuff looks great!!! I'm following you now!!! I love the idea of covering your storage with a cute fabric. I need your daughter! How lucky are you?? (she is too!) Everything is so organized! I love your name tags and your curtain! Have a great week!